AMC just announced a pilot order for a companion series to "The Walking Dead" and not only will Robert Kirkman, Gale Anne Hurd and David Alpert be on board as executive producers but it's also being produced by AMC Studios. In addition, the AMC blog mentions that "Dave Erickson (Marco Polo, Sons of Anarchy), who co-created and co-wrote the pilot with Kirkman, will serve as an executive producer and showrunner." Hopefully this means the new series will stay pretty close to the original series...or do we want something different? Not much more info has been revealed other than the fact that the pilot is scheduled for production in late 2014. “I’ve been fortunate to have collaborated with both Robert and AMC on past projects and I’m thrilled to join them again, along with Gale and David, to build upon The Walking Dead’s already epic narrative,” said Erickson. So what say you, fans? Is this a good idea or can and should the show stand alone? This plan has been in the works for a while now and we're definitely curious and excited to see where the producers take us on this journey. We'll keep you posted as more details emerge. 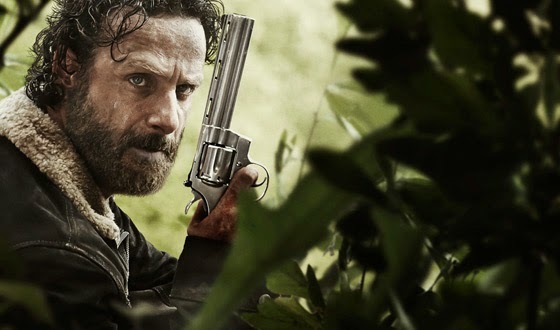 "The Walking Dead" returns to AMC on Sunday October 12 at 9 p.m. ET.